This week on an all-new Coffee With America, hosts Ebony Steele and Sasha Rionda are really getting you ready for Summer! Everything from family road trips to Lemonade stands! First off, pack up the family for a little vacay! Travel expert Amy Goodman has your guide to summer travel. This year is slated to be a tough year for mosquitoes! Dr. Tom Mascari shares how SC Johnson is helping you stop the bite (of mosquitoes) and protect your family from mosquito-borne illnesses. You may remember 11-year old Jack Bonneau from Shark Tank. He grew his lemonade stand into a booming business. Now, the young entrepreneur is showing other kids how to start their own business using quality products. And, speaking of the kids, The Home Depot is letting them put their little hands to work. Associate Danny Watson stopped by our studios to share details about The Home Depot’s 20th Anniversary Kids Workshop. He even helped Ebony build her own bug house! And, if the kids are in the house, maybe because of the weather– keep them entertained with hundreds of movie and video selections on Amazon Channels. If your kids (big and little) are into gaming, Tech and Gaming Expert Marc Saltzman takes a look at the hottest games and tech of the summer. Plus, Adam Matos shares a look at some top gifts for guys. And, we introduce you to former Pro Hockey star Bryan Bickell and his doctor, Dr. Timothy Vartanian. Bryan explains how he is managing life with relapsing Multiple Sclerosis. You are in for a fun and informative show today! 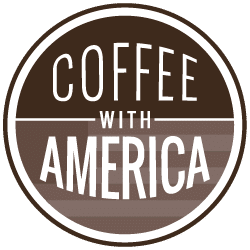 Thank you for clicking and watching this week’s Coffee With America!